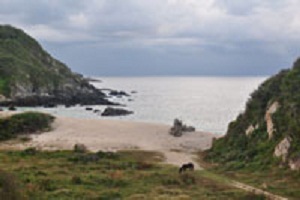 A large part of Cabo Corrientes has remained undiscovered by most because of access. This is in the process of changing. Driving south of Puerto Vallarta on highway 200, you quickly leave the water at Boca de Tomatlan. Boca is always busy, as it is the home to water taxis that serve as the only means of access to many destinations around the cape. Access is always a double-edged sword. For those who want to escape – literally, remote is good. For others it can be a hassle. Beyond Boca, the highway takes you to El Tuito, the jumping off point to the beaches of Cabo Corrientes by road. This is where significant changes are taking place. Some are apparent and some not. The first major project and perhaps most significant, is the road surfacing that began a few years ago. Portions of the road between El Tuito and Tehuamixtle are now paved. A portion from Tuitio heading towards Chacala is now paved. And the dirt roads to many communities are being upgraded as well. A second very important project is also underway. A large water reservoir is being built in the mountains above the Mayto area. This will serve a large area that includes Mayto, Tehuamixtle, and Villa del Mar. The planning and engineering for a pipeline is finished and construction is scheduled to start as the reservoir nears completion. Additionally, there is the upgraded highway 200 from Vallarta south that makes drive time less than what it had been. What does this all mean? Talking to various locals and those in the know, suggests that a significant effort is underway by Federal, State and Municipal governments to lay the groundwork for the future development of this large area in the south of Jalisco. This makes sense as the areas north of Puerto Vallarta are becoming mature and crowded. It also is worth noting that much of the development north of Vallarta is in the state of Nayarit. In the last two years visitor traffic has more than doubled in the Mayto and Tehua areas. 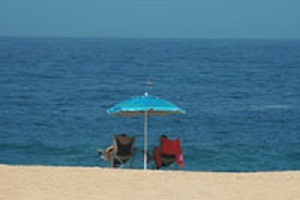 The word is out and people are discovering this area on the Pacific Coast of Jalisco. There is no question that these areas are the next major hot spots to watch. Plans have been set in motion for this to happen. 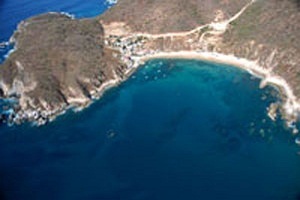 For those who remember areas north of Vallarta ten plus years ago, you will recognize the possibilities.